Entries are now up for the Spring Cup, please register on the signup sheet at the Club or via text to Simon. 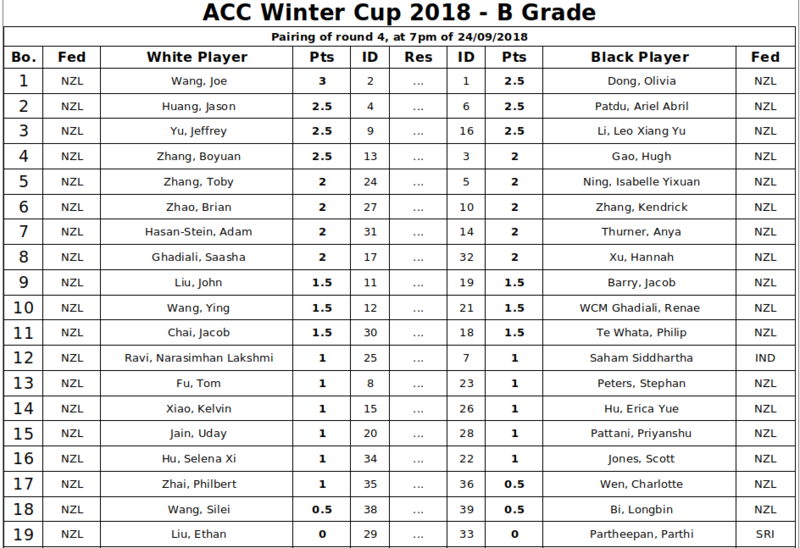 The ACC Winter Cup is two rated Swiss grades over 7 rounds. Lewis vs Michael. White played 18. Nc3 and lost. What should he have played instead to win? Only Allen Fan and John Duneas are on 3/3. 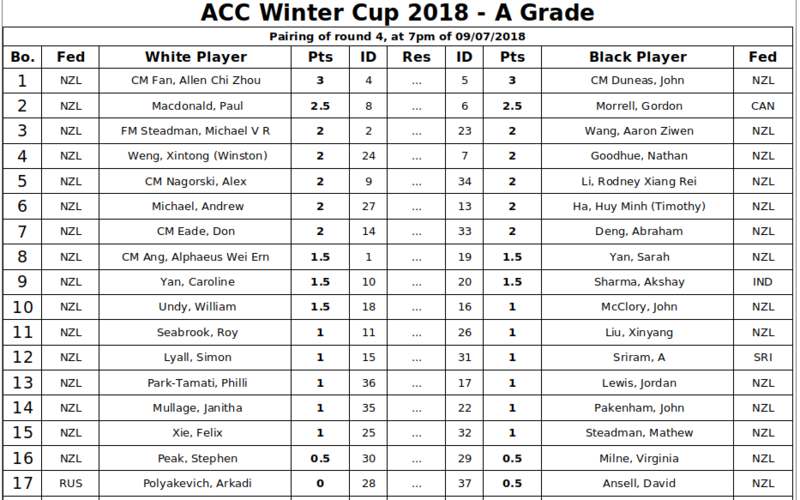 Paul Macdonald and Gordon Morrell are on 2.5 points followed by 11 players on 2. The sole leader with 3 points after 3 rounds is Joe Wang. Just behind him are 7 players on 2.5 points. Some people like these. Use at own risk, may contain nuts.